Jon, When Somebody Asks You if You're Going to Run Third Party, You Say... No! Jon, When Somebody Asks You if You’re Going to Run Third Party, You Say… No! 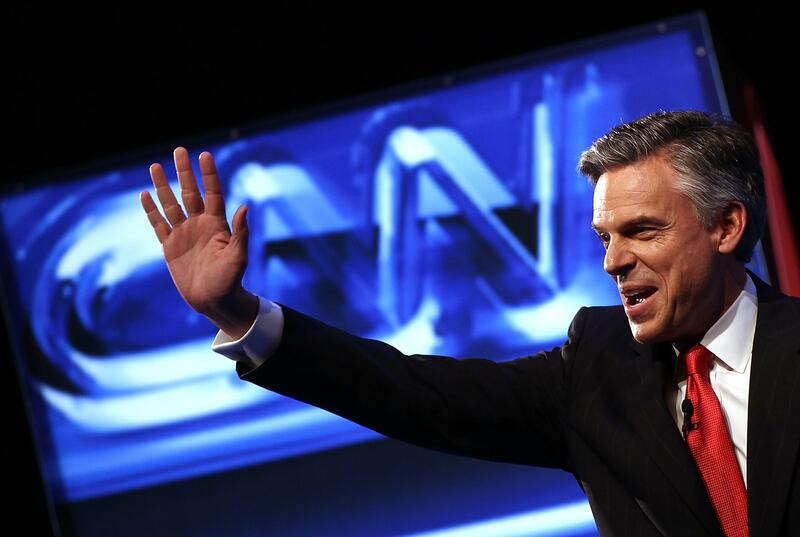 The funny thing is that the Huntsman “independent campaign” rumor is based on almost nothing. It’s certainly not based on policy. John Anderson bolted the Republican Party in 1980 after voicing existential disagreement with Ronald Reagan over tax policy. Huntsman has an ultra-conservative tax reform plan, has been heterodox only on some boutique issues (like global warming), and has spoken out for an Afghanistan policy that, if you look at it, only sounds dovish. (He wants out now. If he wins, he gets to decide that in January 2013, when we’re going to be drawn down anyway.) And yet, he has to “knock down” rumors like this because, as far as I can tell, 1) columnists write about it and 2) he does not yell “no” very loudly. The only reason the question makes sense is that dillente-ish groups like Americans Elect are obsessed with the idea of an independent candidate who looks kinda moderate, and promise to give him ballot lines. Americans Elect likes to cycle Huntsman into its web ads about the project, even though neither he nor anyone else in politics has said they want the AE ballot lines. So not only is this speculation baseless – all speculation about third party candidacies is baseless. Charlie Crist swore up and down that he wouldn’t bolt the GOP, then he did. Candidates won’t tell the truth about this, or be in the mindset to do so, until after all realistic hopes of winning actual party nominations disappear.